Sometimes the prospect of a speech has more importance than the speech itself. That’s certainly the case with a Mitt Romney speech in Jerusalem. The speech by Republican party Presidential candidate Mitt Romney is expected to divert attention from his failed charm offensive in London. And we can be fortunate that it’s a speech. Because a Mitt Romney PowerPoint presentation might prove more of a shambles. In fact the London trip proved to be more offensive than charming. Everything that could go wrong did go wrong. The low point was his interview with NBC that appeared to highlight the unpreparedness of London to host the Games. That low point just got deeper as everyone he sought to charm then sought to put him right. 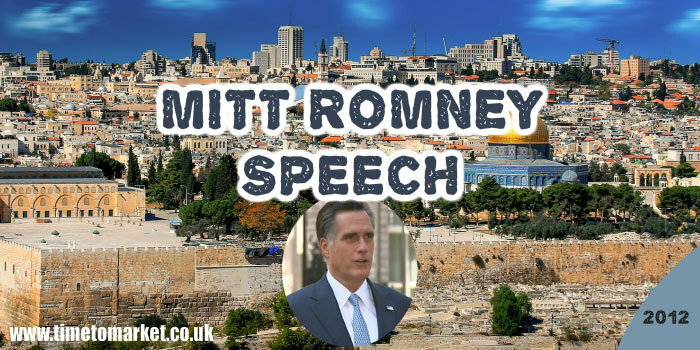 Fresh from his problem-laden trip to London this Mitt Romney speech in Jerusalem looks for a new beginning. But the question is, will the rousing rendition of Sir Charles Hubert Parry’s 1916 masterpiece, Jerusalem, played at the Olympic opening ceremony re-energise the Romney international campaign? It might take more than that. His speech in Jerusalem is expected to stress his commitment, as a potential President, to Israel. On the face of it, that might not be hard to do…President Obama hasn’t visited Israel since taking office in 2009. Perhaps we should have put some more thought into all those earlier Condoleezza Rice speeches? But there’s an expectation that this Mitt Romney speech might prove over-bellicose to Israel’s near neighbour—Iran. Will his reading of Jerusalem‘s reference to arrows, bow and spear at Friday evening’s London 2012 opening ceremony be taken a bit too literally? It’s a Romney speech that really matters. You can read a whole series of tips for public speakers with our posts, podcasts and videos. 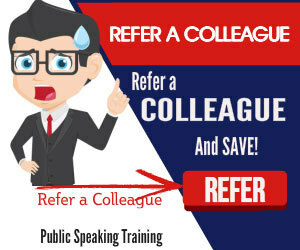 And you should certainly find something for every one of your public speaking opportunities. 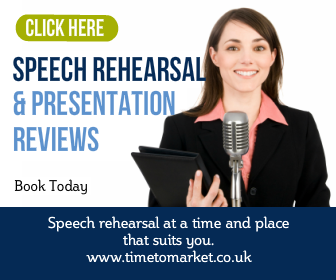 But, when you want to give your public speaking skills a real makeover, then please don’t hesitate to get in touch.